Get your journey off to a flying start by knowing a thing or two about Isola delle Rose before you head off. If you journey 2 miles (3 kilometers) southwest of Venice, or 7 miles (11 kilometers) southeast of Mestre, you'll be in the heart of Isola delle Rose. It's so easy to plan a journey to Isola delle Rose via Travelocity. 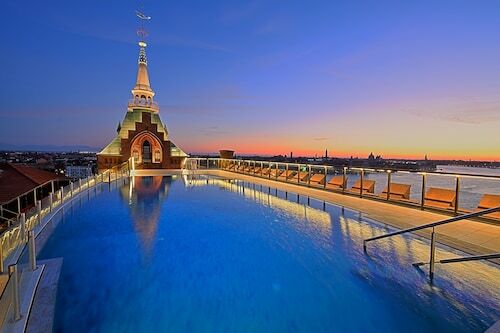 You'll save plenty of pennies if you lock in a flight and accommodation deal. And it gets better — you can select from more than 400 partner airlines and 665,000 listed accommodations. Our Customer 1st Guarantee gives you 24/7 personal assistance on everything from flights and accommodations to activities and rental cars. If you stumble upon a cheaper price on another site, we'll refund you the difference^. We'll never charge you any hidden fees if you need to alter your bookings. And as long as you get in fast, most accommodations won't charge a fee either^. Whether you're in the mood to splash out on accommodations or you simply want someplace to use as a base, you'll find what you're after in Isola delle Rose. With 750 places to stay on Travelocity, you'll have no issues catching those Zs after a day of exciting adventures. Who doesn't like life's luxuries? 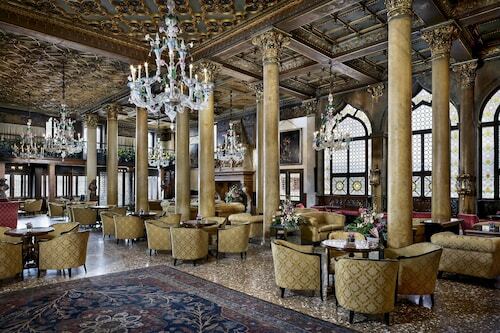 If you want to indulge for a night or two, book a room at The Gritti Palace, a Luxury Collection Hotel, Venice (Campo Santa Maria Del Giglio O Zobenigo) or the Bauer Il Palazzo (Sestiere Di San Marco 1413 D). If you'd rather spend your budget on amazing Isola delle Rose experiences, make a reservation at the Ca' Lucatello TownHouse (San Marco 3488) or the Ca Maria Adele (Dorsoduro 111). Traveling is all about absorbing those memorable sights. 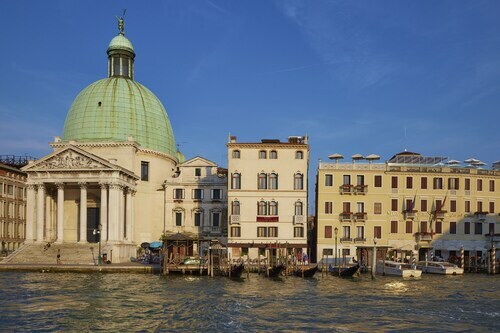 If Rialto Bridge is at the top of your must-see list, it may be nice to stay within walking distance. 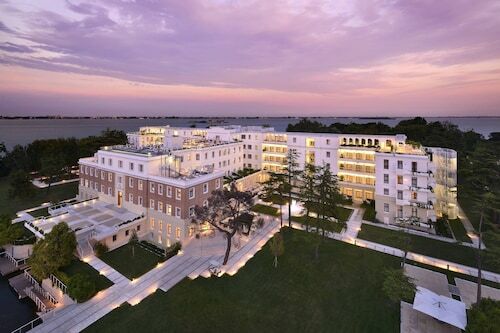 The Baglioni Hotel Luna is 0.3 miles (0.5 kilometers) away, while the PalazzinaG is 0.5 miles (0.8 kilometers) away. Where do you fly into for Isola delle Rose? When you're organizing your upcoming Isola delle Rose trip, bear in mind that the closest terminal, Marco Polo Airport (VCE), is about 7 miles (11 kilometers) north of the main streets. Book your flights, pack your suitcase and prepare for some awesome adventures! Can I rent a car in Isola delle Rose? Reserve a rental vehicle via Travelocity for your trip to Isola delle Rose. You're sure to uncover some beautiful places while you're out on the road. Get out of Marco Polo Airport minutes after landing by renting a car from an office right near the terminal. Alamo Rent A Car and Enterprise are worth looking into. It's handy to know that you can pick up a rental vehicle close to the heart of the city. Situated at Piazzale Roma 496, Dollar Rent A Car will get you behind the wheel in no time. Avis is another great outlet available to you. It is situated at Multipiano P1 Terzo Piano Via Broglio, a mere 2 miles (3 kilometers) from the city center. You're spoilt for choice in this charming hub. 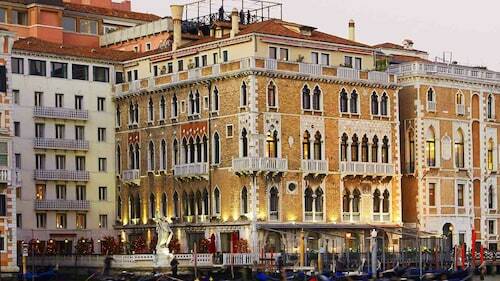 Interesting attractions like Bridge of Sighs and St. Mark's Square aren't too far away. Whether they're engineered from steel, brick or stone, bridges are among the world's most notable architectural wonders. Take in the design of Rialto Bridge and learn more about its rich and compelling history. Want more options? Find out when the services are held at St. Mark's Basilica. While you're here, take some time to sit at one of the pews and partake in a bit of quiet reflection. And that's not all there is. Try to picture the secrets and stories hidden in the walls of Doge's Palace as you gaze up at its splendid facade. Located 17 miles (27 kilometers) from Isola delle Rose, Vigonza is much loved by travelers. Stop by this locality to access the University of Padova and Scrovegni Chapel, two leading attractions that are bound to impress. If you have the time, travel only 60 miles (97 kilometers) to San Martino Buon Albergo. This is another part of the region featuring nearby brilliant attractions like Castelvecchio and Piazza delle Erbe.